kajal and it lasts for 10 hours. The product is waterproof, it doesn’t smudge and it is even safe for the eyes since it is dermatologist tested. 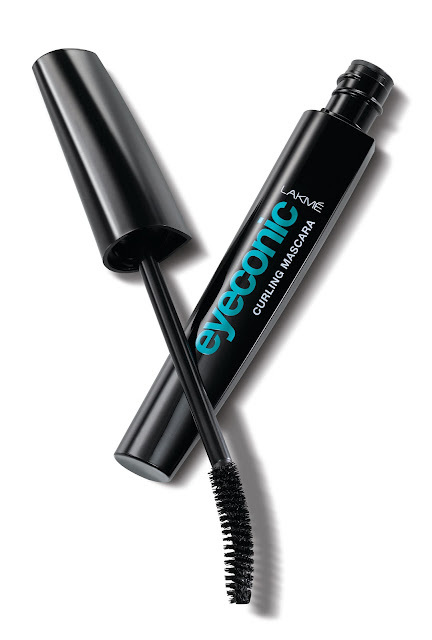 Complete your look with lots of Eyeconic Curling Mascara. The mascara gives the eyes an intense black finish and comes equipped with a curling brush that helps give curves to your lashes. It is also enriched with D-Panthenol – a moisturizer which keeps lashes soft and smooth. The product makes the eyes look brighter and adds a perfect sparkle to your entire look. The Eyeconic kajal and mascara by Lakmé forms the perfect combination in creating a look that is sure to get you noticed! You can now transform your look from drab to fab with just a little kajal and a hint of some mascara. 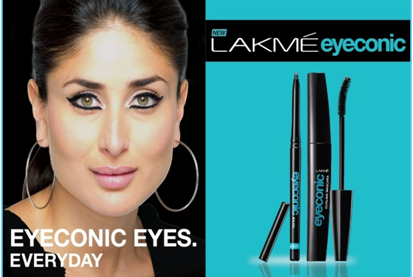 The Lakmé Eyeconic kajal is priced at Rs. 199 and the Lakmé Eyeconic mascara is priced at Rs. 250. My first ever mascara was Lakme Lash Artist mascara and that is the only Lakme mascara I’ve used, I’m kinda looking forward to break my fast with this eyeconic mascara. At this price, this range will be a hit with teenage girls!